Today is anti-corruption day. Yes, really. I know that every day should be anti-corruption day. But December 9 has been designated anti-corruption day by the UN, which creates special observances to promote international awareness and action on certain issues. Broadly speaking these awareness days are ignored here. People seem to assume they are only intended for other countries where you get stuck in mud when it rains. In any case, today is as good a day as any to think about what corruption is doing to us here in Malta. Firstly, it is creating a disconnect between a political elite perceived as self-serving and a population that appears to have become more mistrustful of its leaders, anecdotally at least. Certainly, government corruption did not start when Joseph Muscat became prime minister. But the extent and scale is unprecedented. And in the past, action was taken when corruption was alleged. When people describe the current state of affairs as reminiscent of the 1970s and 1980s, they mean the kind of institutionalised impunity with which corrupt politicians moved around town, as if we owed them the money they were pocketing. The parliamentary Opposition has now resolved to increase its pressure on the government on matters of corruption. But it will be a long time before anyone takes it seriously. For more than a year it has been lackadaisical at best, complicit at worst. For people who care enough to be angry at government corruption, Opposition indifference is seen as thinly disguised impatience to sit at the table of plenty. And this feeling of helplessness and alienation from the political class will have far reaching consequences. The local business community mutters that when the political elite is directly interested in some business activity or other, stumbling blocks are placed in the way of new or competing entrants to the field. And the political elite has interests in a considerable range of activities: restaurants, retail of clothes, manufacturing, property and so on. Entrepreneurs are losing confidence in public procurement which, to many of them, is the underlying keel that sustains them through the ebb and flow of business. Without embarrassment, the intended winner of a strategic contract is identified ahead of time with winks and nudges. Those stubborn enough to spend money on a competing offer find all too quickly that stubbornness is a relative notion. The major contracts are the ones we hear of. 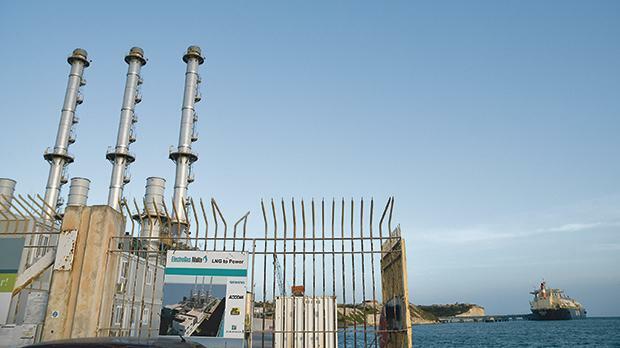 Energy has been procured at prices that make Maltese taxpayers lose money “hand over fist”. Labour denies sealing the deal when still in Opposition. It would. Behind the deal is a consortium of local family business dynasties such as Tumas, Gasan and Apap Bologna in partnership with a State-owned Azeri company and Siemens. Parliament’s auditor finds that the contract structure to procure energy is imposed from without the State-energy company mere days after the new government is elected. No alternatives to the ideas announced by the Labour Party before the 2013 elections are considered. Goalposts are shifted several times during the procurement process to accommodate the winning bidders. The bidders are selected by an external accountant – Brian Tonna – who turns out to be working for the bidders themselves, and for the politicians who take the decisions. This is merely the most recent shocker. A quarter of a billion euros worth of works is directly procured from James Caterers and a subsidiary of the Seabank Group. Their business, respectively, is pre-packaging food and running hotels. Yet they get the biggest ever direct order to build and run a residential home for the elderly. The deal is signed even though no development permit exists. No one was given a chance to make a cheaper offer. The Seabank group has featured in the news before and the residential home for the elderly is not their only record breaker. They now have a permit to build Malta’s tallest building supported by a giant complex that would look over the top on the Las Vegas strip. And all on public land transferred for a pittance in spite of the opportunity to maximise on the commercial elements, as well as the prime location astride a ridge overlooking St George’s Bay. All concerned also deny that the deal was struck with a Labour Party still in opposition (before 2013) and then sealed after the electoral win. But no one denies it was struck in private conversation, where no competition was brooked. Smoke-filled rooms are the government’s favourite location for sealing deals. Consider how three public hospitals were hived off to an outfit called Vitals Health Group. It was not so much a ‘group’ as a gang. And ‘health’ in their title could not have referred to their expertise in providing any medical services (they had none) or the status of their finances (as far as could be ascertained they had no money at all). Yet they were handed three hospitals that used to cost the government €55 million a year to run and within weeks their operational bill had risen to €70 million, with no improvements in the service. Until they flipped the deal onto an American for-profit hospital chain who thought they were buying a clean deal. There are signs that the new owners – Steward Healthcare – feel they have been cheated. They have no idea. Consider what taxpayers have poured into this mess. Those are just the major scandals. The impact is on all the small ones, the ones that do not make the news but are the lifeline for many small businesses on the island. When corruption is rampant at the highest levels and the big boys are pocketing tangenti as a matter of course, the edifice rests on the fact that the smaller fish are given space to acquire money for their silence. When the local enterprise starts giving up, international investors start getting worried. That’s the second major consequence of the industrial-scale corruption we are facing. Before spending money, investors ask the locals how things work. A certain type of investor likes what they hear when they’re told you can make headway if the Prime Minister’s staff are in on things. Others scuttle away. A bad reputation is bad for a certain type of business. It is good for others. Consider the news that more Malta-licensed gaming companies have been implicated by Italian prosecutors as serving to launder money for various Italian mafia organisations. That business flourishes in corruption. And we only get glimpses of what lies beneath. Think of one of Muscat’s favourites, Neville Gafà, who was an optician’s assistant before 2013, and now tours Tripoli’s government buildings using an ambassador’s official car while ‘on holiday’. He ‘stumbled’ on an extortionist warlord ‘in the street’ and they ‘had a chat’. How does he know him? What common reference point for a conversation might a junior ranking Maltese government official and a Libyan criminal militia chief possibly have? When this stops being strange; when we are resigned to the reality that not only our citizenship, but our territory, our seas, our economy, our laws and our rights have been placed at the service of crooks; when people whose enterprise drove Malta’s economy, secure properties out of the country because they no longer see any point in staying: that’s when the international day against corruption becomes an overdue national battle.